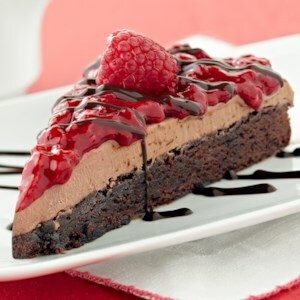 Find healthy, delicious Valentine's Day dessert recipes, from the food and nutrition experts at EatingWell. 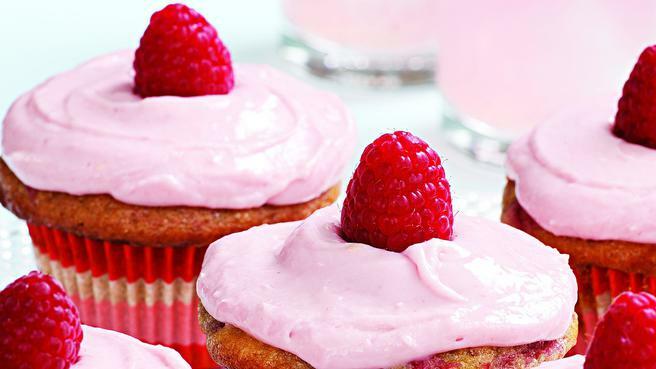 These perfect Valentin's day cupcakes are topped with an easy cream cheese frosting tinted pink with a little raspberry puree. 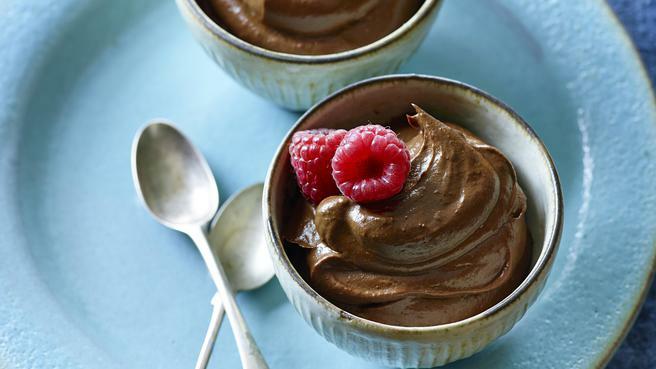 Creamy avocados make this dairy-free and vegan chocolate dessert recipe super-rich. 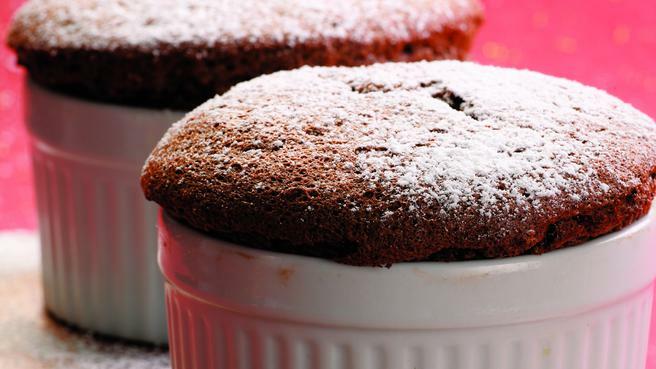 End your dinner for two on a sweet note with our decadent dessert recipes for chocolate fondue, cheesecake, fruit crisp, puddings and more delicious desserts. 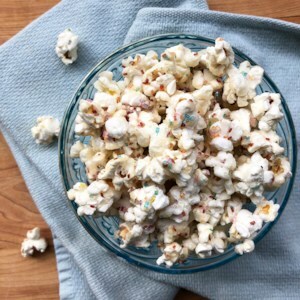 Reminiscent of Funfetti birthday cake, this healthy popcorn recipe is a fun twist on a favorite sweet treat. 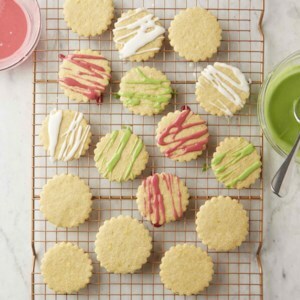 Melted white chocolate and rainbow sprinkles coat microwave popcorn for an easy 10-minute dessert or snack. 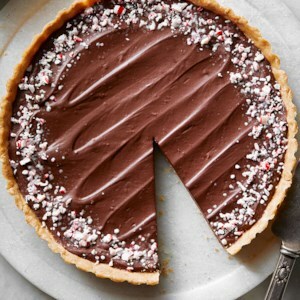 This rich chocolate tart dessert recipe is low in sugar, making it a perfect healthy finish to a heavy holiday meal. 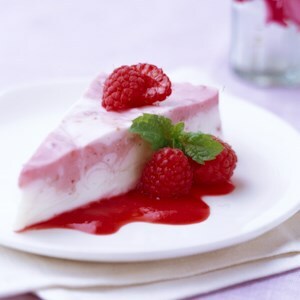 Served on a vibrant raspberry sauce, this swirled pink and white diabetic-friendly cheesecake is so beautiful your guests won't even notice that it's crust-less! 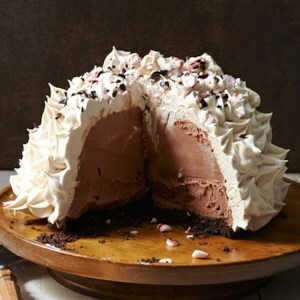 The homemade yogurt cheese and reduced-fat cream cheese mixture results in a fantastic dessert with a lower amount of fat. 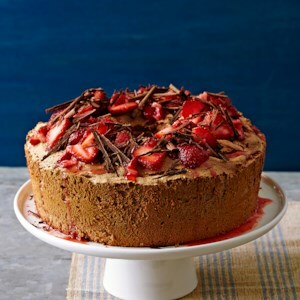 This chocolate angel food cake topped with strawberries and shaved chocolate is an unforgettable dessert. 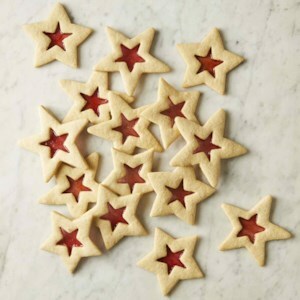 It's so beautiful, your guests won't believe you made it yourself. 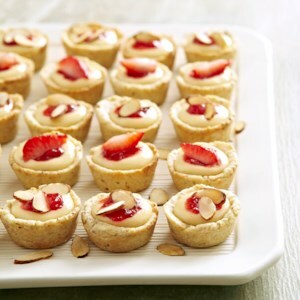 Bring these strawberry cheesecake tartlets to your next potluck and please the crowd. 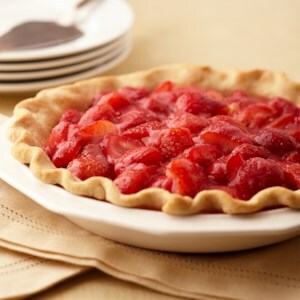 Fresh strawberries in a sweet glaze fill a tender crust for a light dessert. 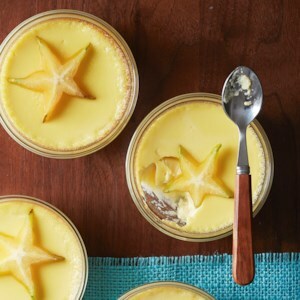 A classic sweet custard flavored with coconut, ginger, and vanilla is served in individual cups and topped with pretty slices of star fruit. 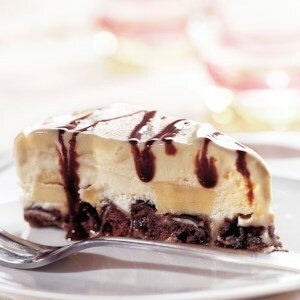 Fat-free chocolate cookie cakes get a peanut butter drizzle and a layer of bananas and ice cream in this low-fat frozen dessert. 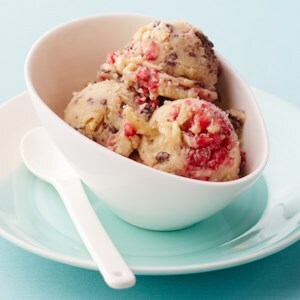 This ice cream dessert is easy to make ahead of time. 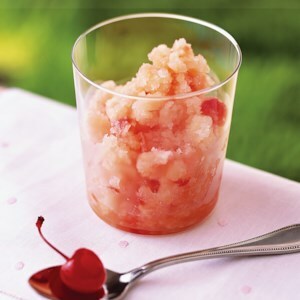 Serve it at a party or at the end of a special dinner. 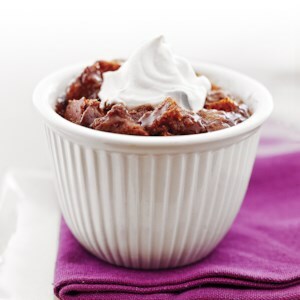 Whole grain bread and dried tart cherries make this rich chocolate bread pudding dessert recipe nutritious and hearty. 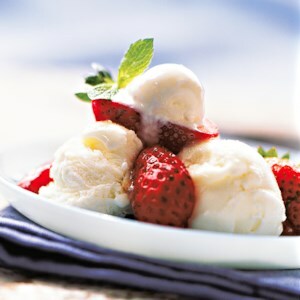 Strawberries are marinated in a sweet balsamic vinegar and mint sauce to make a perfectly refreshing topper for frozen yogurt. 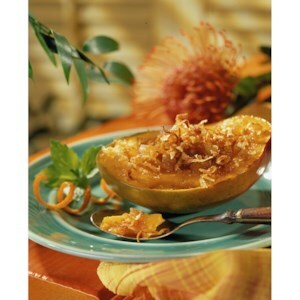 The make-ahead brown sugar topping can be chilled until baking time. 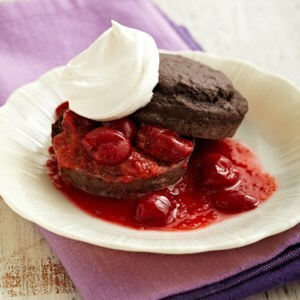 Serve this dessert warm and top it with dollops of fat-free ice cream. 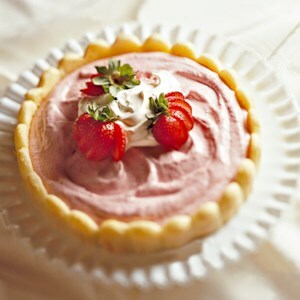 Ladyfingers lining this creamy chilled fruit pie recipe create an elegant crowning appearance. 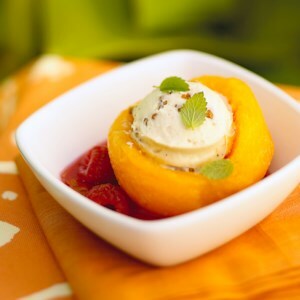 Light cream cheese and a fresh tasting, raspberry-watermelon sauce turn ordinary cantaloupe into a delightful dessert.